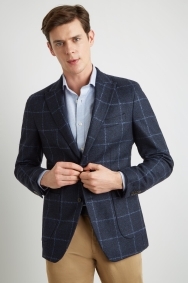 Make a statement with this refined, stylish jacket. Designed with both quality and style in mind, this jacket is an all-round staple you’ll keep turning back to. 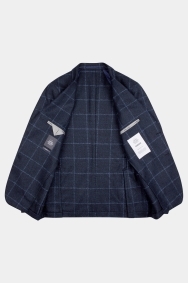 The windowpane checked fabric, made in Italy’s famous Reda mill, uses incredibly fine 100% wool fibres to create a refined, polished look and feel. 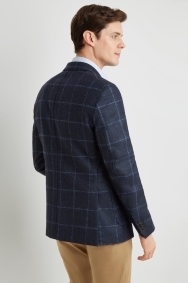 It’s also cut to flatter your waist, and the unstructured design means it’s lightweight and has clean-cut tailoring with impeccably neat seams. 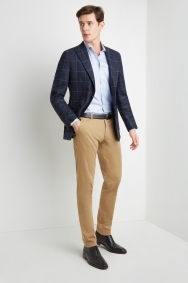 Tweed inspired and featuring peak lapels and patch pockets, it has an on-trend relaxed look. 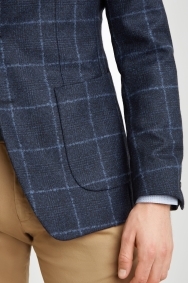 Contrast this jacket with your trousers and an open-necked shirt for a new formal outfit.